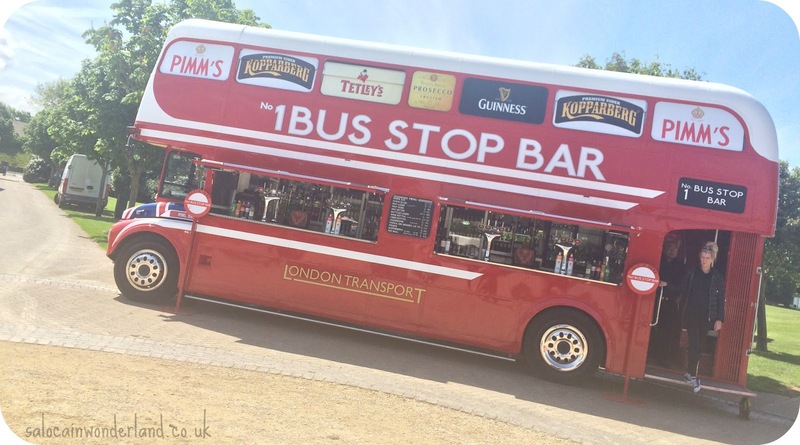 I don't know about you but when I think about days out, the last place I look for transport is the busses. I spent years commuting for hours to and from work and uni, often jumping off one bus, onto a train then onto another bus. Since moving into the city centre, I rarely set foot on a bus. The thought of the over crowded, uncomfortable seats, getting stopped at every set of lights, crossing and bus stop, getting nowhere fast, well, it just puts me off going anywhere I can't either walk to or persuade someone to give me a lift. To say I'm not a fan of public transport is a bit of an understatement. This summer, Arriva are looking to change the opinions of dozens more like me, who would rather crawl over hot coals then jump on a bus. Their Ride and Seek campaign not only sets out to get bums on bus seats, but to show how easy, affordable and comfortable a day out on the bus can be. 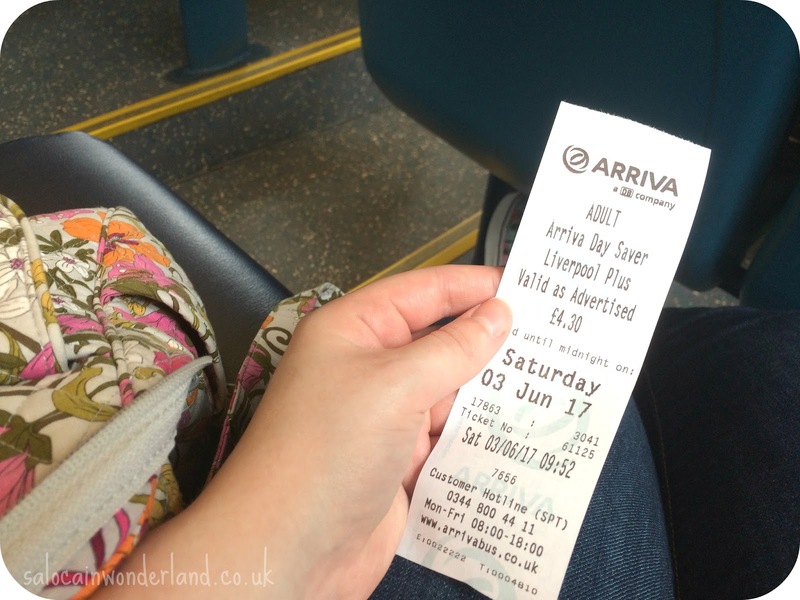 Spoiler alert - I couldn't believe how surprised I ended up being travelling around by Arriva bus! A bus - easy? Comfortable? Go on then, change my mind, challenge accepted! You all know I love donning my stretchy pants and getting my feast on so I was keen to head down to the Southport Food Festival to see what delights they had on offer. Usually, I'd jump the train, which takes about 45 minutes form Liverpool to Southport but with Arriva’s challenge in mind, I jumped the bus. I won't lie, I was half dreading it. 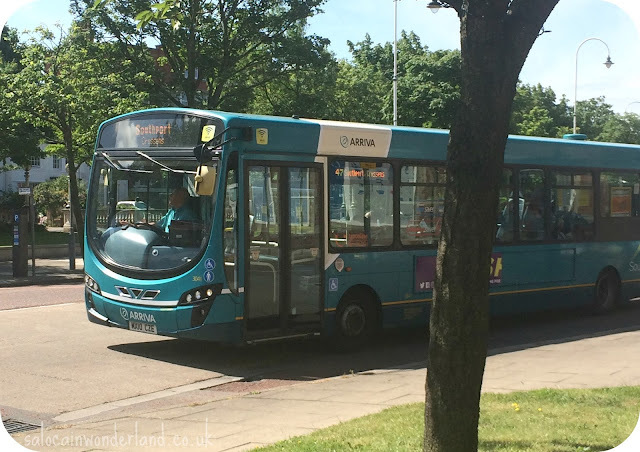 Liverpool to Southport on a bus? How long would that take? How uncomfortable would that be? How many snacks would I need? Jumping the number 47 from Liverpool’s Queens Square bus station, I set out on my journey. Looking at the online bus timetables, I figured the journey would roughly take an hour, so just 15 minutes longer than the train. I wasn't holding my breath on it being all that quick though! I've got to say, as soon as we got out of the city centre, I didn't have to worry about being entertained. Not only was the onboard wifi working, and working well, the views where super pretty too. Crosby, Forby, Aughton, these are some of the prettiest places in Liverpool I know and I spent more time staring out the window oohing and ahhing over the houses and landscapes than I did staring at my phone. The bus itself was pretty full but everyone had a seat and it was nowhere near as uncomfortable as I was expecting! 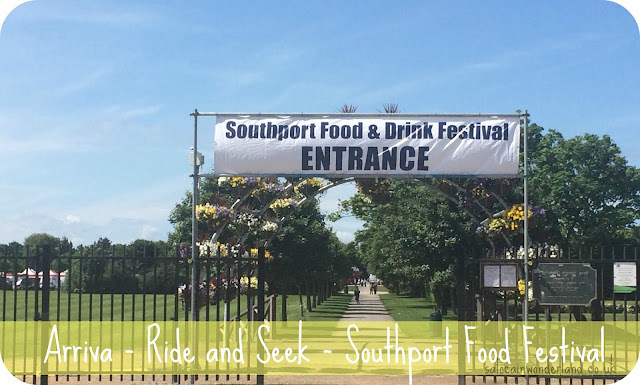 We pulled into the bottom of Lord Street, Southport, after just 50 minutes, I couldn't believe how quickly we actually got there, and within minutes I was walking along the seafront taking in a rare sunny day and that fresh sea air. The Southport food and drink festival is held in Victoria Park, right next to the Pleasure Beach! I have so many memories from the good ol'days of Southport Pleasure Beach but I don't remember ever setting foot in Victoria Park! Turns out this is also where they hold the infamous Flower Show every summer! From the bus stop I jumped off at it was only a 15 minute walk too. (Note: if you want to check out the Southport Airshow there is a bus stop 5-10 minutes walk away from RAF Woodvale! I've put off going to the airshow because I was convinced you needed a car to get there!). I got there around 11.30am, the festival was in full swing anf after meandering down a very pretty path, I was right smack bang in the middle of the whole thing! 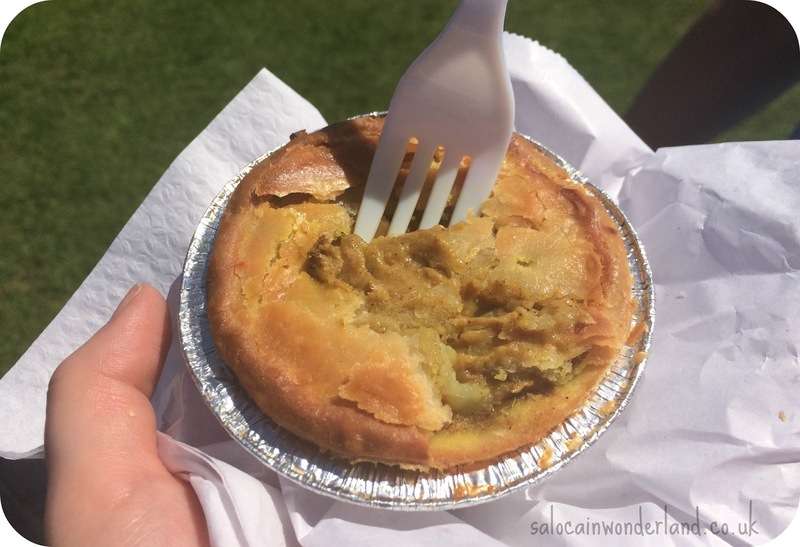 The festival is huge, much bigger than I expected, showcasing some of the tastiest treats from both local and further afield restaurants and businesses. I don't know the numbers but it felt like there where more stalls here than at Liverpool’s Food and Drink festival! 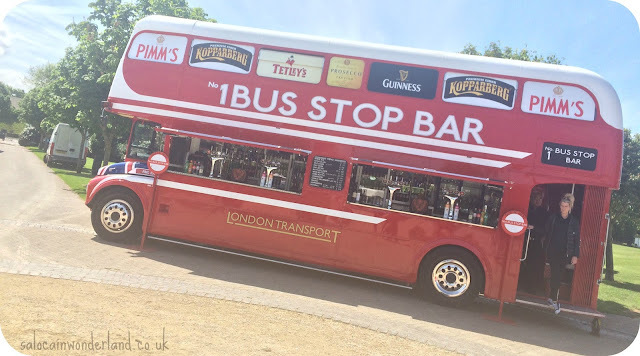 Smack bang in the middle was a double decker bus bar where we quickly grabbed ourselves a summery Pimms! The food stalls where set up in a large circle around the edges of the park, so starting at the nearest point, we did our first lap of the day. The sights, the smells, the choice! Talk about spoilt! There is something for every palette! I always do a lap to see what's on offer before heading back around to start eating! 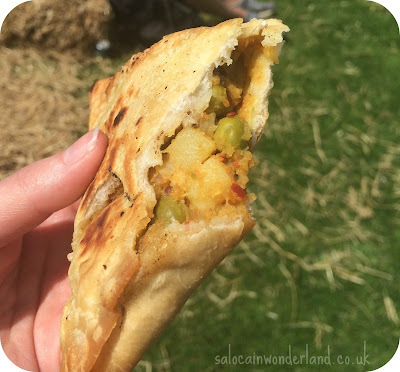 Indian, Thai, fresh juices, local brewed ales, waffles on sticks, pizza, hot dogs, veggie treats, vegan delights, potatoes on sticks, dim sum, cakes, tea, fresh lemonade, the choices where endless! After much deliberation we started off with some veggie samosas which were freshly cooked in-front of us and tasked amazing - they also went well with the cheeky gin fizz I picked up from the Cocktail Bar! 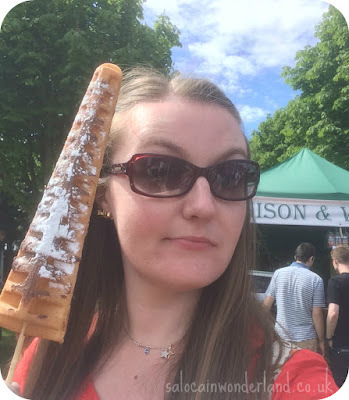 We hit up more cheese stalls than you could shake a cracker at and gorged on samples - I had no idea salted caramel cheese existed but oh my, it was like eating dessert! With my sweet tooth waiting to be indulged, I grabbed a moorish mini chocolate orange cheesecake! 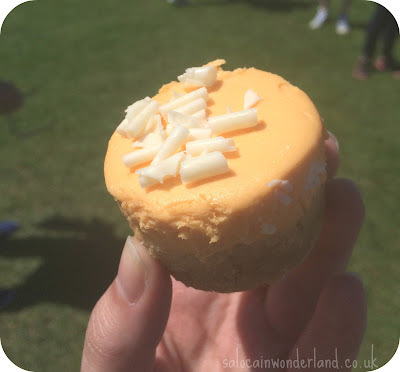 The perfect size with a thick biscuit base! 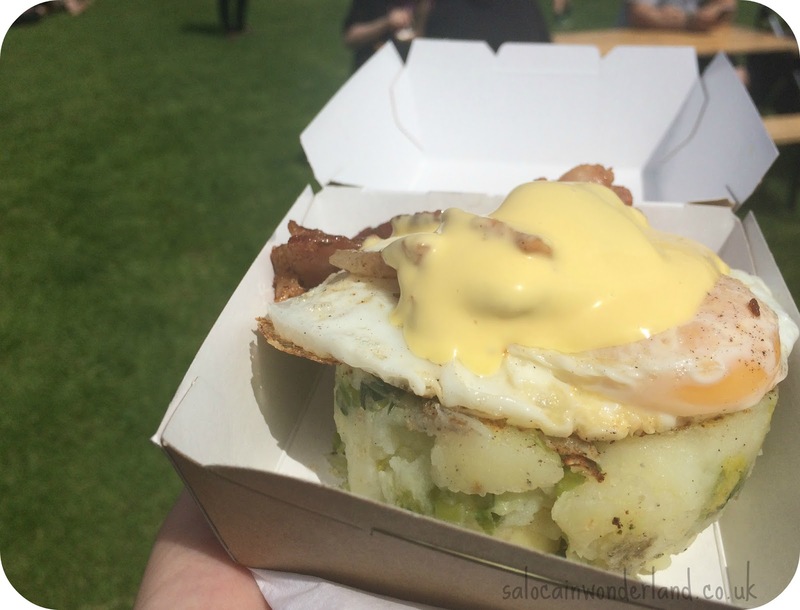 With a big cup of homemade lemonade in hand, I also picked up an amazing bubble and squeak pattie with crispy bacon, fried egg and covered in hollandaise sauce. 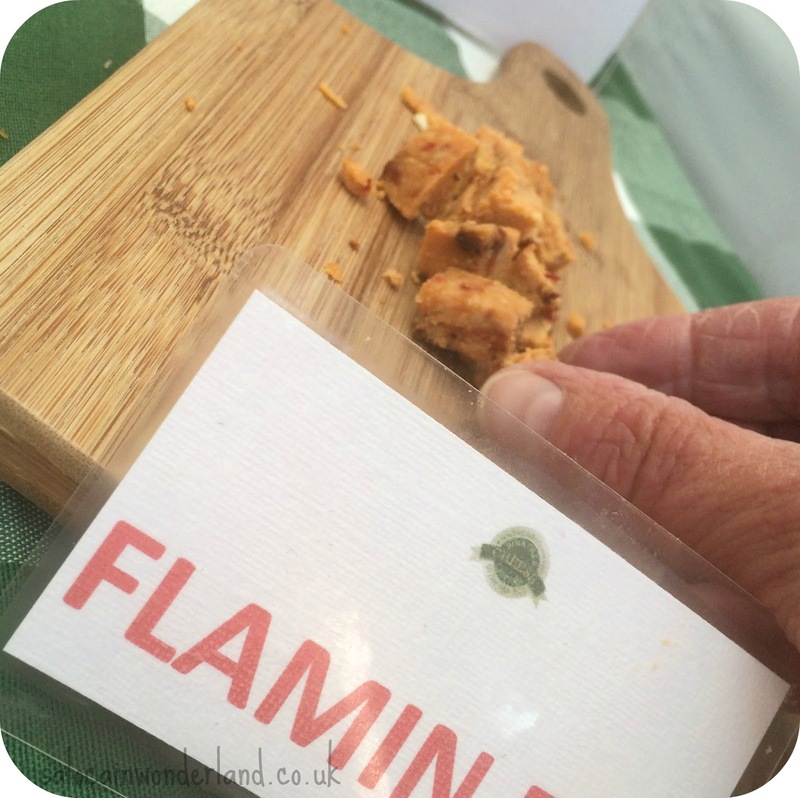 This was, hands down, the best thing I'd eaten all day! It took me back to being a kid, were we'd have bubble and squeak all the time! 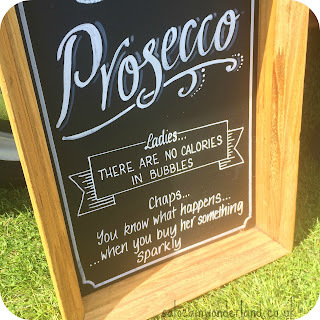 We watched some bartenders do some crazy tricks with bottles, the kids play area was filled with laughter and squeals and the obstacle course provided some seriously good entertainment - if only I hadn't eaten so much I would have been up for giving it a go! Before calling it a day and heading home, I was determined to eat something on a stick! The Nutella covered waffles looked amazing so I headed on over and finished the day on a very sweet treat! A waffle, on a stick, that was bigger than my head - what more do you need in life? 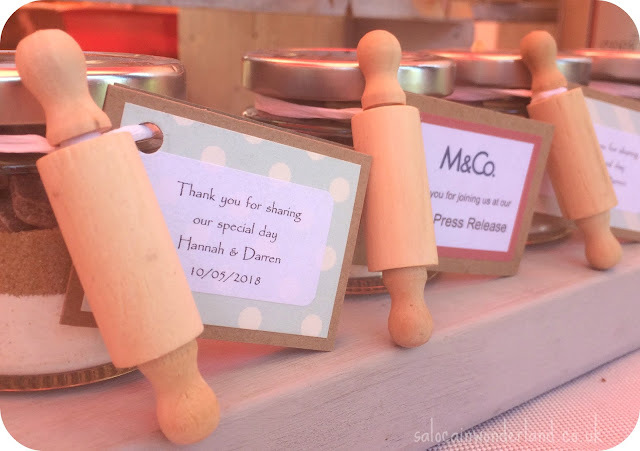 The sun didn't stop shining all day, the atmosphere was amazing, the sellers were so friendly and joking around with everyone, it was just brilliant. And coming home couldn't have been easier. I don't know about you but I am much more inclined now to look at taking the bus over the summer to upcoming events! 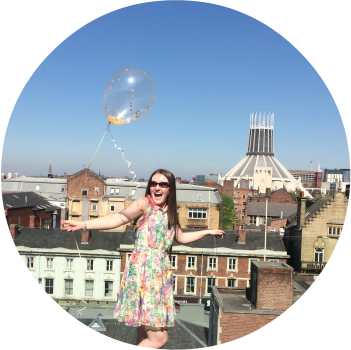 Quick, easy, comfortable, affordable, I couldn't ask for more! Make sure you check out what's on over the summer and see where your next bus ride can take you! To bus or not to bus? How do you get around over the summer? Transport kindly provided by Arriva. All thoughts and opinions are 110% my own. For more information, see my disclaimer policy here.